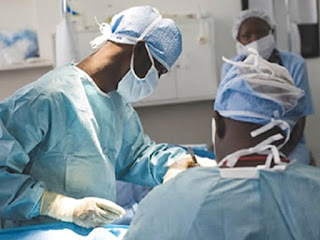 The National Association of Resident Doctors of Nigeria (NARD) has postponed the planned nationwide strike, which should have commenced on April 25 to May 9, 2016. The two weeks postponement was announced by the National President of the association, Dr Muhammad Askira, while addressing a news conference in Kano on Sunday. Askira said the decision to shift the date of the strike was taken after the extraordinary meeting of the National Executive Council, NEC, of the association held on April 26 in Sokoto. He said after deliberations on the progress made so far, the council decided to shift the strike by two weeks. According to him, the decision to shift the strike followed the prompt intervention of President Muhammadu Buhari during a meeting with NMA National leadership as contained in a statement released by his SSA on media. Askira said the NEC decision followed the genuine efforts and commitment by the Minister of Health and his management team as well as the intervention of the National Assembly to ensure amicable resolution of the dispute. “The NEC had also resolved to direct our branches in Osun, specifically LAUTECH Teaching Hospital Osogbo, to immediately suspend the seven month old strike. “This is to enable the implementation of the agreement reached with the Government of Osun on April 15 in Osogbo. The national president, however, urged the Federal Government to ensure that all their demands were met as agreed during the negotiation meeting on April 11 to avoid industrial action. “We hope the Government will meet our demands before the expiration of the deadline so that the strike will be averted in the interest of the Country,” he said.